This Printable Recipe Binder is designed with one purpose in mind: To make meal time easier for you. I know how hectic that dinner time hour is, and hate when I don't have any idea of what to make, or where to start, let this recipe binder be your solution. 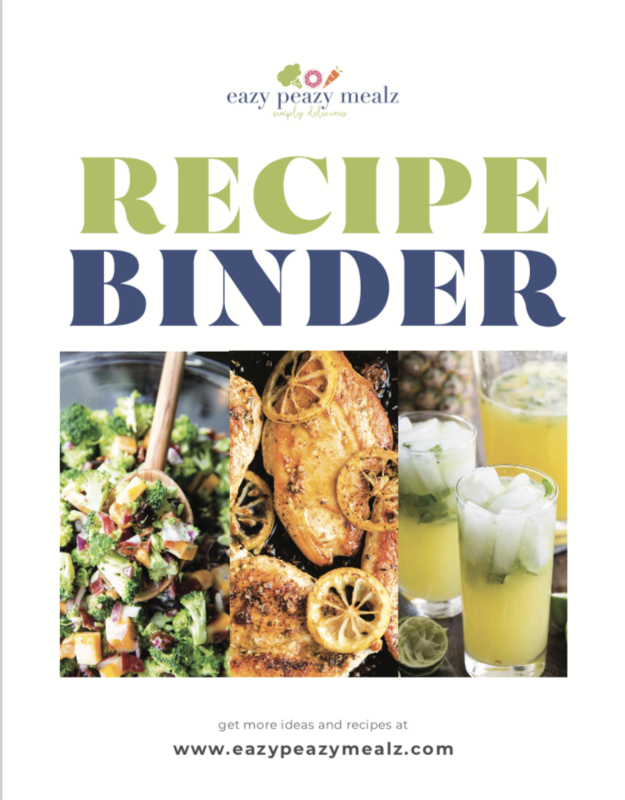 Basically it is a PDF that is a one stop shop for your dinner making needs, there is even room for notes on each recipe so you can customize the recipes to your preference, and of course photos of every recipe included. It is 200+ pages of awesome stuff to make meal time easier for you.